Home » Fan Theory » Why Birdman’s Lesley could be Betty from Mulholland Drive? 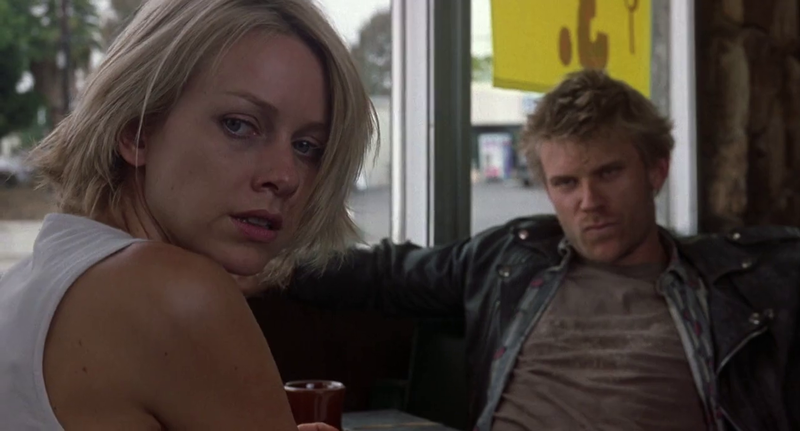 Why Birdman’s Lesley could be Betty from Mulholland Drive? Recently I re-watched Mulholland Drive and 2014’s Oscar Winner Birdman within a week’s time and I thought of this insane connection between the characters played by Naomi Watts in both these movies. This is a fan theory and like every other fan theory, this is supposed to be crazy but also makes sense if you want it to make sense. Fan theories are convincingly possible and impossible at the same time. There are potential Spoilers ahead and if you haven’t seen these two films, we suggest you to bookmark this article and come back later after watching them. According to my theory, Naomi Watts’ character Lesley from Birdman can actually be Betty from Mulholland Drive meaning they are the same person. 2001: Betty, a new girl in Los Angeles, she is an optimistic person who thinks success and stardom is destined to be hers and just a couple of films will make her a movie star. However, later in the film, she wakes up as Diane Selwyn, she finds herself as one of the many struggling actors in Hollywood who do small parts in films. She is also an insecure girlfriend of Camilla Rhodes. Camilla on the other hand is a successful actress with whom Diane did a film as an insignificant character. During the last few scenes of Mulholland Drive, we see Betty hiring a contract killer to kill her movie star girlfriend Camilla. However, Betty couldn’t live with that guilt and shoots herself too. 2014: It’s been more than a decade now for Lesley performing at the theatre and she adapted well to this new life until the day comes when in an emotional outbreak, Laura, a character in Birdman, kisses Lesley. The expression on Lesley’s face tells everything. She isn’t new to this, she has kissed a woman before, but it has been more than a decade since she left her life as Betty and became Lesley. Now, when Laura kissed her, the memories of Camilla flashes in front of her; even if she killed her, there was no doubt that she loved Camilla and thus she embraces the truth that she is a lesbian and she will no longer act to be straight, she continued kissing Laura.